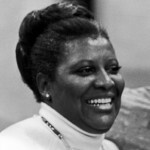 Award-winning African-American actress and singer Virginia Capers, (b. Sumter, SC, September 22, 1925; d. Los Angeles, May 6, 2004) appeared in nearly fifty Hollywood films, both dramas and comedies, and an even greater number of television episodes over her long career. Heavy-set and motherly, she was often type-cast as a charwoman (Saratoga on Broadway, 1959), a generous grandma (The Fresh Prince of Bel-Air on NBC-TV), or a poor self-sacrificing single head-of-household (Raisin), but she occasionally played a judge (Picket Fences, CBS-TV) or a nurse (Mork & Mindy, ABC-TV, Ferris Bueller’s Day Off 1986). Eliza Virginia Capers attended Howard University in Washington, D.C., and went on to study voice at the Juilliard School in New York City. She was first hired by band leader Abe Lyman to sing on his radio program and on tours. She performed in the Yiddish theater in New York before making her Broadway debut in Jamaica in 1957. After Jamaica closed, she appeared in the Harold Arlen-Johnny Mercer musical Saratoga (1959–60). At this point Virginia Capers made her way to Hollywood and got a start in television in an episode of Have Gun – Will Travel in 1961. She soon was a familiar face on the small screen, appearing in The Untouchables, Dragnet, Daniel Boone, The Rookies, and Mannix, among many other shows. She also embarked upon a significant career in feature films, with The Great White Hope, Norwood, Lady Sings the Blues (as Mama to Diana Ross’s Billie Holiday), and Trouble Man. 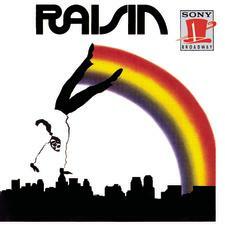 Capers returned to Broadway in 1973 as Mama Lena Younger in Raisin (1973–75), the musical adaptation of Lorraine Hansberry’s play A Raisin in the Sun. Clive Barnes, reviewer for the the New York Times, called her “a vast and loving Gibraltar of a woman, . . . tremendous in just about every sense you can use the word.” Capers was awarded the Tony® for Best Actress in a Musical. The show also won the Award for Best Musical and received eight other nominations. It ran on Broadway for over two years and had a long post-Broadway run, with Capers still leading the cast, on tour. Back in Hollywood in 1976, Virginia Capers continued to add to her impressive list of credits: on television The Waltons, Mork & Mindy, Quincy, Dynasty, Highway to Heaven, St. Elsewhere, Murder, She Wrote, Frank’s Place, Evening Shade, Married with Children, The Practice, The Hughleys, ER, and more; on film The Toy, Teachers, The North Avenue Irregulars, Howard the Duck, Ferris Bueller’s Day Off, Pacific Palisades, What’s Love Got to Do with It, Beethoven’s 2nd, and many, many more. Capers founded a Los Angeles repertory theatre company for African-American performers called the Lafayette Players. She received a National Black Theatre Festival Living Legend Award, a Paul Robeson Pioneer Award, and the NAACP’s Image Award for theatre excellence. She died of complications from pneumonia and is survived by a son, Glenn Capers.